Conversion Rate Optimization (CRO) and User Experience (UX) are two terms that are commonly thrown around whenever a discussion about website performance takes place. As practices, the two are quite similar to each other in the sense that both work on analytics and feedback to meet similar end goals. The terms are occasionally used interchangeably, but it is important to note that they are not the same thing. Whatever the case may be, it is evident that the two practices are not mutually exclusive. On the contrary, CRO and UX are complementary to each other and the combination of the two can be utilized effectively to achieve various business goals. CRO – Conversion Rate Optimization is the structured process of getting people to act once they arrive on your website. The process aims to enhance the completion of customer journey on the website, whatever the end goal may be. User insights and data are used to identify points of “friction” and conversion blocks/issues. Once identified, a logical hypothesis is derived to understand the reasons behind the issues. These hypotheses are then proven or disproven through various experiments and the observations are used to improve the website. UX – User Experience is how a person feels when they are using a website. It involves the nature of their interaction, and how they will use the website. Simply put, User Experience is the term given to the interaction between a website and the user. For those of you who want to dive deeper into the definitions, you can always read more about CRO and UX. The goal of effective UX Design is to improve the design of the website so that is intuitive to the user’s needs and makes the user journey an enjoyable, seamless, and simple process. CRO works on the principle of introducing changes to the website and then testing them, continuously optimizing with tweaks that are proven to perform better. When the idea being tested is based on UX research, the results are usually significantly better. Basing CRO tests and hypotheses on UX research findings decrease the CRO team’s dependency on guesswork. Sure, there are tools and best practices you can employ, but the problem with these is that they are usually not as insightful as an experiment driven by UX research. What this means is that while CRO tells you something needs to be changed in the current experience, UX research helps to understand where you need to start. For instance, Asos.com, an e-commerce website, was facing a high number of cart abandonment cases. Meaning, the user would get to last step of the journey, that is, to the checkout, and then leave the website without completing the purchase. The actual problem was identified in the UX design. As soon as a consumer clicked on the checkout button, they were asked to create an account, which is where most abandoned their cart and moved on. 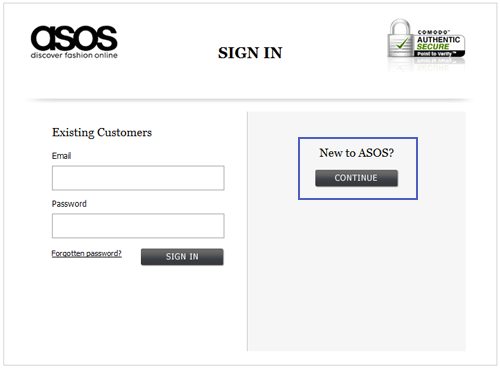 By changing the “create an account” button to “New to ASOS?”, Asos.com was able to overcome this issue. In fact, this small change decreased the abandonment rate by 50%. CRO can identify and prioritize major design issues. Sure, you can change the color of a button and A/B test it for conversions; it may even show some level of improvement. But if there are other fundamental issues in design, conversion rates will always be affected. The truth is, while it is important to concentrate on conversions, if you do not enhance your website’s user experience, the chances of making a real difference will remain bleak, no matter how much you optimize. For example, the Thai website of Hotels.com was experiencing low traffic. By doing certain usability tests, their CRO team optimized the website for areas that hamper conversions such as inappropriate filters and presentations, missing details, unusual languages and inapt text. As a result, Hotels.com saw an increase in overall visitors on websites leading to more conversions and increased revenues. When most CRO professionals design a hypotheses, it is usually done with the desktop site in mind. On the other hand, UX Designers are more likely to think in terms of multiple devices and have a better understanding of what kind of changes will perform better on what device, because a change that may bring about better conversions on a desktop site might not work so well on a touchscreen mobile device. A desktop-only approach can prove disastrous to your CRO strategy as (and this should be no surprise) the number of mobile users has long surpassed the number of desktop users. Aside from that, there are absolutely no shortage of reasons to go mobile. Doing CRO ‘the UX way’ is certainly going to enlighten you to explore new avenues. There are a number of tools that UX designers harness in order to gain a better insight into the user journey. However, since CRO gained traction way back in 2004, a whole new variety of user behavior research tools have surfaced. Some of the tools used by CRO professionals that are relevant to UX Design include the likes of heat maps, visitor recordings and form analysis. While it is true that UX Designers constantly conduct usability tests, an A/B test for a design can provide additional validation. A winning experiment can provide a definitive answer to whether a change has enhanced the user experience or degraded it. UX Designers can also refer to the A/B tests conducted by the CRO team in the past. More often than not, these contain a plethora of insights that designers have missed. A knowledge of previously conducted experiments will also help designers to avoid working on ideas that might have been tested in the past. A truly impactful website is one that successfully forms a harmonious relationship between optimization for conversions and enhancing user experience through design. This can only be achieved once it is understood that UX Design and CRO must go hand in hand. Both disciplines should constantly surface and exchange insights, as after all, the end goal is ultimately the same. If you have additional thoughts on the ways in which CRO and UX can be combined to achieve better results, don’t forget to share them in the comments!